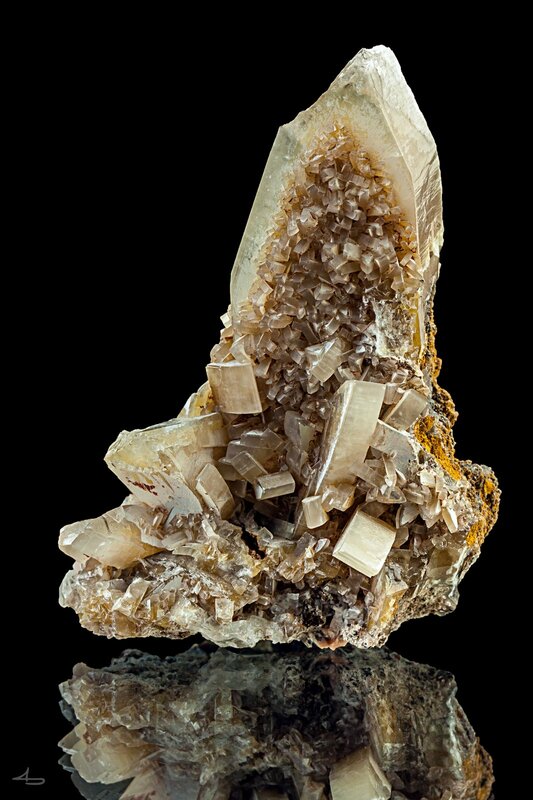 Description: Upstanding baryte crystal var. 'Meißelspat' (chisel spar). The front face of the main crystal is covered by a second generation of smaller crystals.